As a native New Mexican, I have always fought the great fight against dry skin. Moving to California has helped tremendously, but in the winter months the fight still lives on. In addition to dry skin, I have mild skin allergies which limit my use of most yummy smelling, mass-produced skincare products. My latest ally is this coffee and coconut oil body scrub from Pure Ella. It’s effective and it smells delicious. I have been using this body scrub a few times a week for about a month now and have nothing bad say about it. My skin feels so much healthier than before, it’s not dull or tight and no more dry patches. Plus the smell of coffee fills the shower, the perfect way to wake up. The caffeine from the coffee is supposed to be skin firming, Ella gives a good explanation for this. I haven’t really noticed, but I’d recommend it regardless. When it’s cold it can be a little difficult to get out of the container, so I keep a spoon with it. It melts with the warmth of your hands and spreads on easily. I’m about to run out of my first batch and I will definitely be making more. With the next round, I may add a touch of cinnamon to play with the aroma. It’s time to change calendars and I couldn’t let the perfect Sierra Club landscapes of last year go to waste, so I made some envelopes. I made 4×6 envelopes. I started by drawing a big 8inch by 10inch square on the back. I usually free hand the rest of this but here is a template to show you what I do. Cut out the large rectangle. Then take 1 inch off of each side of the bottom flap and 1 inch off each side of the top flap. I also trim the top flap at this point, which are the diagonal lines I drew in. 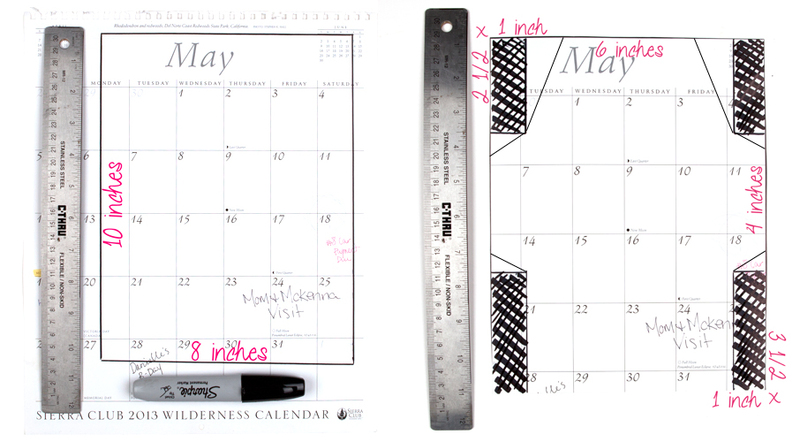 Just add some washi tape around the edge and you’re ready to send it. I suggest using a white paint marker or metallic Sharpie for addressing darker pages. I also used a couple pages to line envelopes I had on hand. Simply trace the envelope on the image, cut it out, slide into the envelope, and the secure it to the flap with a line of glue. After an extended holiday, I’m looking forward to a new year. I’m finally starting to feel at home in the city and it already/still feels like spring here, which has me so inspired and motivated. Here are some things I want to do this year. I’m really proud of this space and all I can think about is making it better. I want to keep a more regular posting schedule and get ahead on posts, how great would it be to have things put together a week or two in advance? I also want to improve my blog photography, particularly staging and layout. Practice makes better, right? I want to try a 365 photo project, maybe one with prompts like The Idea Room’s or Fat Mum Slim’s. Last year I got into the habit of regularly trying new recipes by starting to cook through my Pinterest food folder. The real secret is remembering to pick up unusual ingredients on grocery day. This year I want to pay more attention to my ever-growing cookbook collection. Here’s a couple I got for Christmas. Since I graduated college, I have finished a pathetic number of books. This has to change. Here are a few titles already on my bookshelf to get me started. I’d love recommendations, read anything good lately? My stocking stuffer giveaway is over and the winner was notified this morning by email. Thank you all for participating. It was quite successful and I will definitely be doing it again! 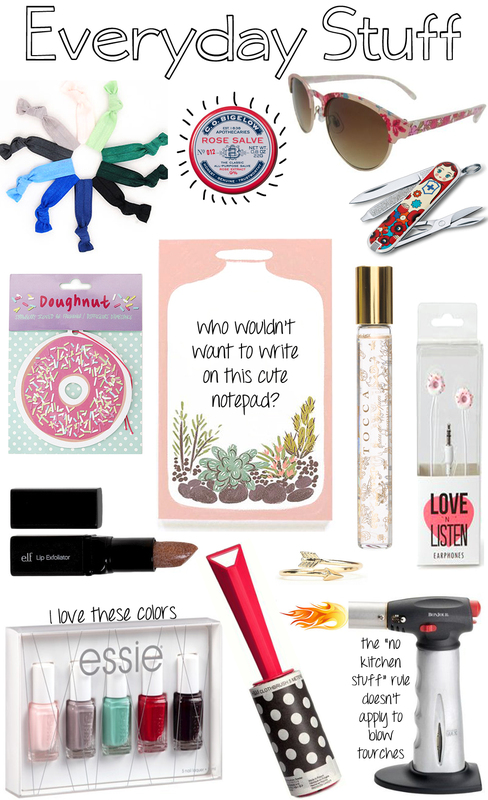 With stockings and Christmas on the brain, here are some things I want stocking stuffer ideas for the twenty-something, creative woman you know. 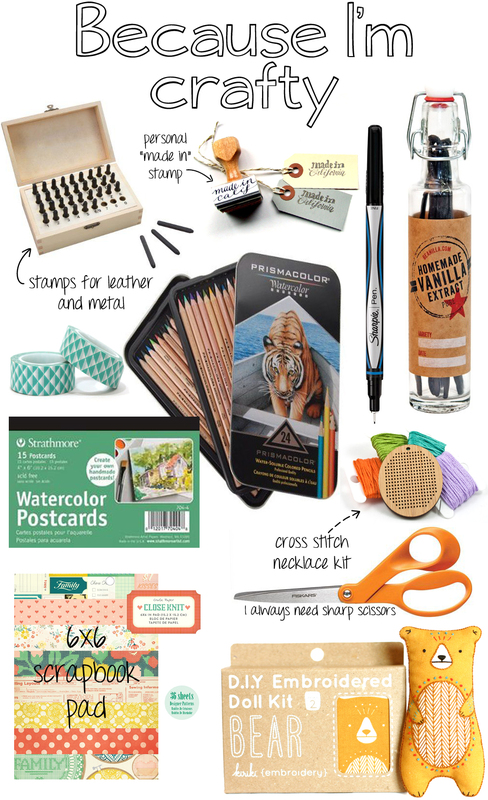 Perhaps you’ll see a few things you need to pass on to your own personal Santa. The coffee was great. She sent two seasonal flavors from her favorite local coffee shop. How sweet! I loved the Roasted Almonds! So good! She made them herself, they were just a little sweet and very cinnamony. Really prefect. 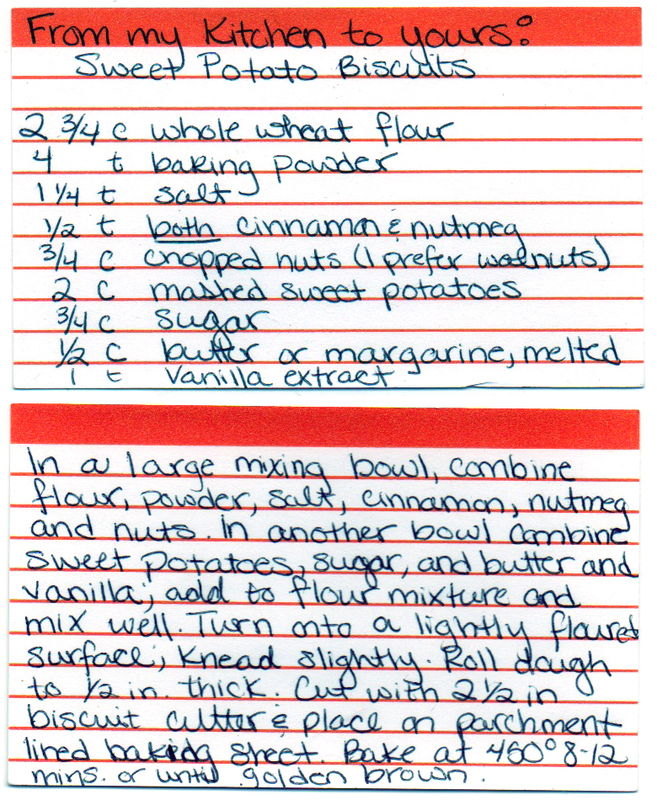 My absolute favorite thing was this recipe though. I made it for Thanksgiving and it did not disappoint! Thanks again Lindsey! And thanks to the Lean Green Bean for setting up the swap every month! 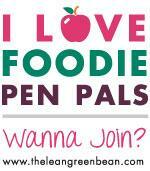 If you want to join in for January, just jump over to her page and sign up! 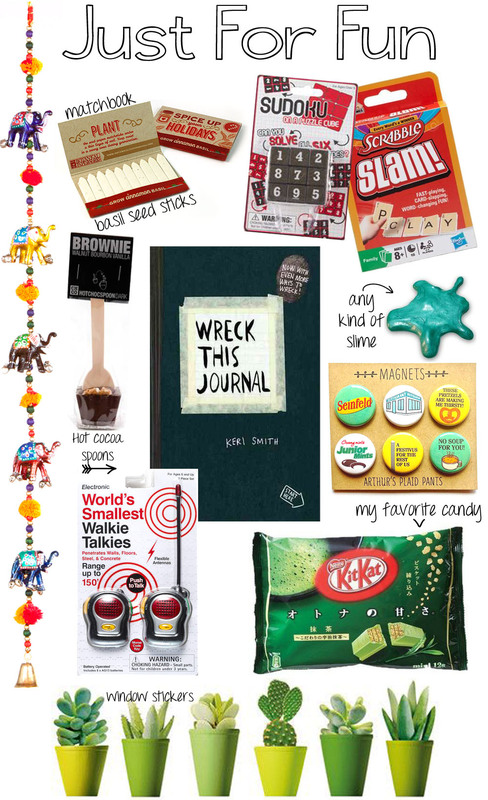 PS Don’t forget to sign up for my stocking stuffer giveaway! It ends on Sunday!